The new Jeep Wrangler Moab edition, based on the Jeep Wrangler Sahara, celebrates the popular Jeep Safari event that happens each year in Moab, Utah. This limited-edition Jeep features a Rubicon hood and steel bumpers with removable end caps, aggressive 32-inch mud-terrain tires, LED headlights and tail lights, a Moab decal on the hood and 17-inch Rubicon wheels painted in low-gloss black. Other specialty exterior features include low-gloss black headlight surrounds and tow hooks, Wrangler Rubicon rock rails and Sahara side steps are available with no additional charge. Moab has an optional Trailer Tow and Trail Rail cargo management system and a standard Uconnect touchscreen with navigation and a nine-speaker premium Alpine sound system. 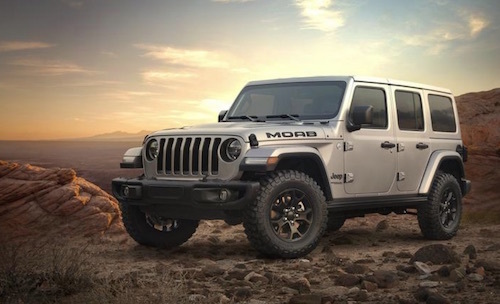 The Wrangler Moab Edition is offered in a choice of nine exterior colors: Granite Crystal, Billet Silver, Punk’n Metallic, Mojito, Black, Bright White, Sting Gray, Ocean Blue Metallic and Firecracker Red. 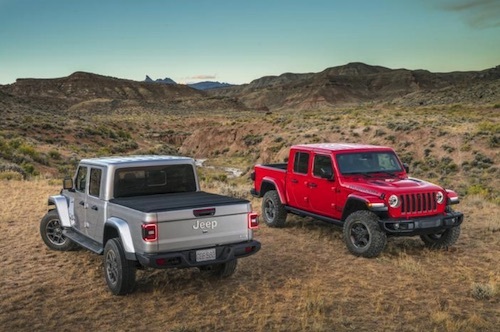 The standard body-color hard top for the Wrangler Moab can be switched out for an available Dual Top Group or Jeep’s Sky One-Touch power top. Inside the Wrangler Moab are upscale sporty interior elements such as leather-trimmed seats and a leather-wrapped dashboard with contrast stitching. Specialty equipment for Cold Weather is also available for the Moab which includes heated front seats and steering wheel. A variety of safety features with Blind-spot Monitoring, Rear Cross Path detection and a new ParkView rear backup camera, are standard for this new model as well. If you would like to learn more about the Jeep Wrangler Moab we invite you to stop by and take a test drive soon. The Save on Sahara Jeep Dealership in Las Vegas has a wide selection of new Jeep Wrangler models in stock now.